The Mystique MOD and Mystique Mesh Tank from Ijoy consist the IJOY Mystique Kit. It comes with the newest IWEPAL chipset, aiming to offer you safe and stable output and large cloud. 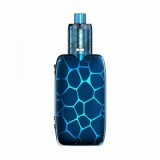 The Mystique MOD and Mystique Mesh Tank from Ijoy consist the IJOY Mystique Kit. IJOY Mystique TC MOD has this unique and water Cube appearance and if you ever hold and use with it and you'll notice that it is anti-slip, and you never need to worry about a wet hand. It uses dual 18650 batteries to power up to 162w. 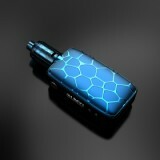 The Mystique MOD uses the advanced IWEPAL chipset to provide a safe and stable output. The Mystique Mesh Tank is a typical top filling and bottom airflow subohm tank. The unique mesh coil will make it different from other regular tanks. The best thing is, this Mystique kit is firmware upgradeable. This kit is what you need to start cool vaping. 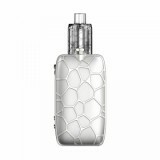 • NO e-juice and 18650 battery which you need to buy separately. 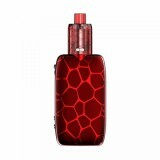 • We also have IJOY Mystique Kit, IJOY Mystique MOD, Mystique Subohm Tank and Mystique Mesh Tank. • Note: The 0.15ohm mesh coil of Mystique Mesh Tank is disposable which can not be replaced. Good build quality and beautiful look. It gives me nice hand feeling. Everything is as described. Great purchase! It's really a good looking device. Comfortable to hold in hand and easy to use. The mesh coil offers great flavor. I usually vape it at 50-60w which is my sweet spot. 162W IJOY Mystique TC Kit with Mystique Mesh Tank is a new portable and innovative TC kit with pocket- friendly size and light weight. The Mystique Mesh Kit consists of unique Mystique Box MOD and powerful Mystique. IJOY Mystique Kit is a portable 162W TC Kit with Mystique Box MOD and Mystique sub ohm tank. Moreover, it adopts two unique mesh coils which feature uniform heating characteristics. Like that central connector and colors,also dual battery configuration give us a lots of power. The best mod ever Great features.